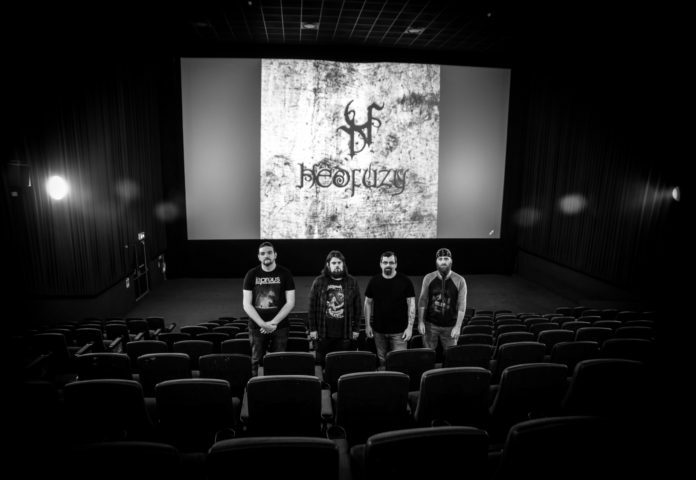 LIMERICK musician Pat Byrne plays bass, keyboards and sings and records metal/ rock/progressive rock under the name Hedfuzy. Now expanded to a four piece lineup, the full band will launch new album ‘Waves’ this Saturday 26 at Kasbah, Dolan’s. The album is released on Hostile Media, a UK based independent metal label and distributor. Hedfuzy made Top 5 in the iTunes Charts in September with their track ‘Shadow for the Disappeared’. It is the first release from the new lineup, founder Pat Byrne (bass, keyboards, vocals) is joined by Keith McCoy (drums); PJ O’Connell (guitars), Jamie Callaghan (vocals) and Graham Keane makes a guest appearance on guitar. New single ‘The Boy who Killed the Man’ dropped in early January. Limerick Post asked Pat Byrne if the Hedfuzy sound and writing changed with the new lineup? “I wrote all the tracks on this album so there isn’t a big change in the style of writing since the first album but Jamie coming in as the new singer makes a huge difference as I think he has that big Rock singer voice that I love, in that 70s’ Classic Rock style that I could never do. Along with the first release from this record going to Number 1, ‘Waves’ is filled with muscular, top class musicianship and its melodic material makes their music very accessible and engaging. Is there a theme running lyrically through ‘Waves’? “Lyric-wise this album has a few different things going on. Songs like ‘I am Not The Enemy’ and ‘Waves’ deal with people trying to find some way to deal with a trauma in their lives. Hedfuzy has been picked up by multiple radio stations from Ireland to USA and Mexico (Asheville 103, 105.7 FM and Ruidosos FM) to name a few. ‘Waves’ was mixed by Chris Collier (Prong, Lynch Mob, KXM) at CMC21 Studios Santa Clarita USA. Special guests for the launch night are Zombie Picnic and Third Island.